Tomorrow, the US will inaugurate its least popular president of all time. Without going into politics, one of the hardest things for me to swallow over the campaign and since the election (and I think a lot of you will agree with me) is the divisive and isolationist rhetoric that was spoken. But, Trump's campaign manager and future White House counselor, Kellyanne Conway, said that we should give him the benefit of the doubt. We shouldn't listen to his words. We should know what's in his heart. I nearly choked on my coffee when I read that (I didn't because, hey, it was a good cup of coffee!) Again, regardless of your political leanings, I think it's fair to say that many people recognized the bullsh*t being spun in that statement. How are we supposed to know what is in someone's heart if they don't tell us? Are we supposed to be heart-readers as well as mind-readers? Look, I think it would be awesome if this were true! I mean, imagine how easy life would be! I'd love if my children would go take a bath or clean up their rooms because they know in my heart that I think they should. But, no, instead, I have to tell them to (and often I have to tell them to about 100 times before they actually do it). 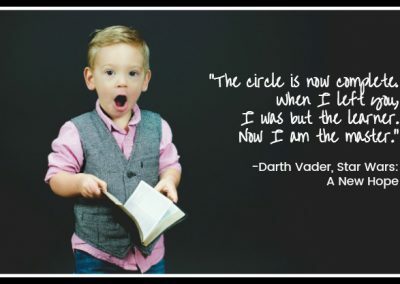 Because, the reality is that, whether we are talking with children or adults, we all come to a conversation with our own experiences and opinions. We are attached to these thoughts and often come to a conversation prepared with our defense systems on high-alert in case we have to defend them. And, sometimes, we forget (or don't want to acknowledge) that the person we are talking with - whether it is a child, a spouse, a friend, or a random person commenting on a Facebook thread - also comes armed with his or her experiences and thoughts. Their defense mechanism is also on high-alert. So, how can we have a conversation, a real conversation, about what is in our heart when we also fear the rejection of those thoughts? Whether we are discussing differing political ideologies or what to have for dinner or why we want our children to keep the bath water inside the tub. 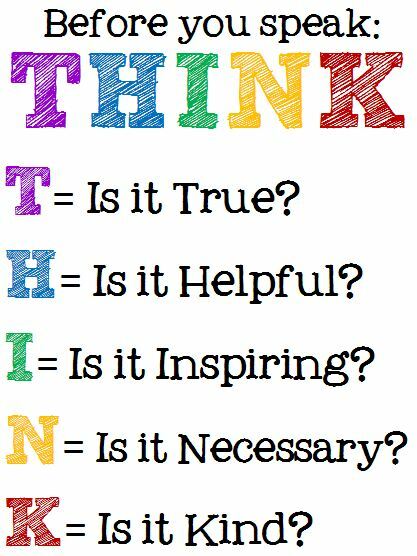 As children, we are often told, "If you don't have anything nice to say, don't say anything at all" and "think before you speak". And, for the most part, they are rules that I continue to abide by. Even though, as an adult, my inner child who kept her mouth shut is getting madder and screaming louder to be heard. We aren't often told, though, why we should think before we speak. What is the goal? It is not to keep us from speaking (though I think some of us internalized it as such). And it is not just about being polite. It is about being empathetic. Some parenting and education sites I have seen use THINK as an acronym. The goal is to make sure our words are: True Helpful Inspiring Necessary Kind You can be honest while also thinking about how our words will be received. Our words have meaning for us but they also have meaning for others. And those meanings may not be the ones we intended. And this is a really important thing to remember. Because, while we judge our words and our actions by our intent, others judge them by their impact. We can cause pain even when we did not intend to. Thus, our words can have unintended consequences. And, whether we like it or not, we are responsible for those consequences. Often, especially in the heat of a moment, we are so caught up in our own emotions, that we may not see the consequences right away. But when we do see it or when we are called out on it, we cannot remain attached to our original intention. We cannot ignore the pain of others. Or else, we risk causing further pain. When we become aware of the pain we have caused, we must be empathetic. We must apologize. But this is a difficult step too. Because when we apologize by saying "I didn't mean it", what we are really doing is trying to convince the other person of our good intentions. We are sacrificing their pain for our own ego. 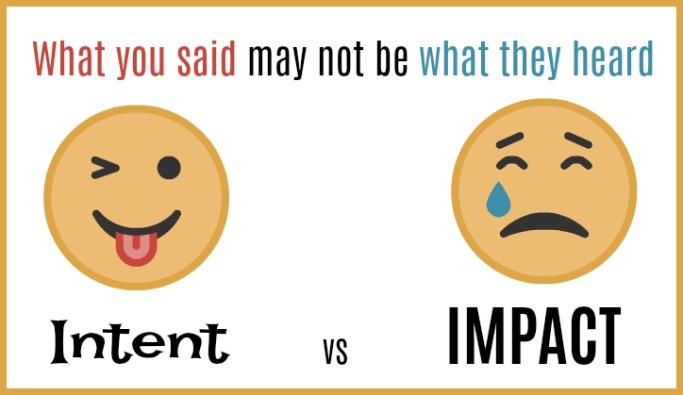 To be most effective, we must address the impact of our words in our apology. "I hurt you and I am so sorry." Let go of our defense mechanisms and embrace our empathy. We are going to make mistakes. We are going to say things that hurt other people. We are going to do things that hurt other people. And we will say words and take actions without intending to cause pain. But that does not make us less culpable. So, I implore you, as Donald Trump becomes President of the US, do not normalize the behavior of defending your intentions over your impact. 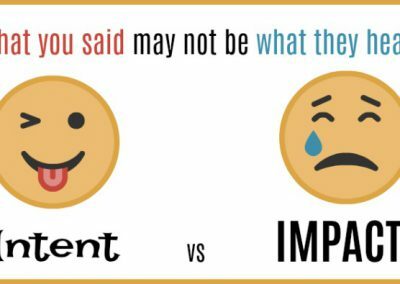 Acknowledge the negative impact your words and actions can have. Then it becomes easier to apologize for the pain you unintentionally caused. Follow the lead of Michelle Obama when she said, "go high." In communication, this is going high. This is living empathetically.